On November 19, 2013, Their Royal Highnesses Grand Duke Henri and Grand Duchess Maria Teresa of Luxembourg arrived in Ankara, Turkey for a five-day state visit to Turkey. Upon their arrival at the Çankaya Presidential Palace the grand ducal couple were warmly welcomed by the President of Turkey, Abdullah Gül, and First Lady Hayrunnisa Gül. After the inspection of the guard and a photo-op for the press on the steps of the palace, President Gül ushered the grand ducal couple into the palace where gifts were exchanged. Thereafter, Grand Duke Henri and President Gül accompanied by the Prime Minister of Turkey, Recep Tayyip Erdoğan, and a Luxembourg business delegation held a meeting. Meanwhile, Grand Duchess Maria Teresa and First Lady Hayrunnisa Gül attended a luncheon. For further information about today’s visit as well as to view photos please click the links below. Royals From Sweden, Luxembourg, Belgium, and the Netherlands Attend the IPC Honorary Board Meeting in Brussels. 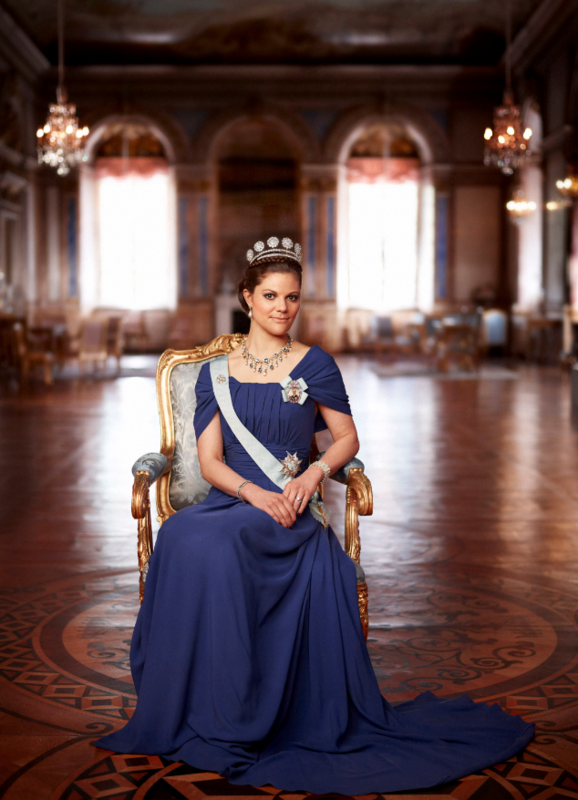 On October 8, 2013, Her Royal Highness Crown Princess Victoria of Sweden, Her Royal Highness Grand Duchess Maria Teresa of Luxembourg, Her Royal Highness Princess Margriet of the Netherlands, and Her Royal Highness Princess Astrid of Belgium, as host, attended International Paralympic Committee Honorary Board meeting held at the Palais Royal in Brussels. “…updated on the growth of the Paralympic Movement over the last two years and received further insight into the activities that surrounded the London 2012 Paralympic Games, as well those for future Paralympics. On September 17, 2013, at Villa Rothschild Kempinski in Königstein im Taunus, Germany, His Royal Highness Prince Félix of Luxembourg finally married his longtime love, Miss Claire Lademacher, in front of close family and friends. For detailed information about today’s intimate civil ceremony please visit the site, Luxarazzi: Luxembourg and Liechtenstein, here. 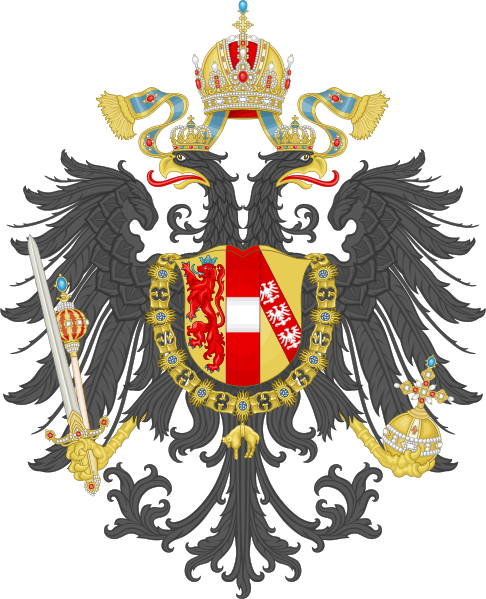 News Regarding Members of the Grand Ducal Family of Luxembourg. Over the weekend members of the Grand Ducal family of Luxembourg participated in the 2013 National Day celebrations. 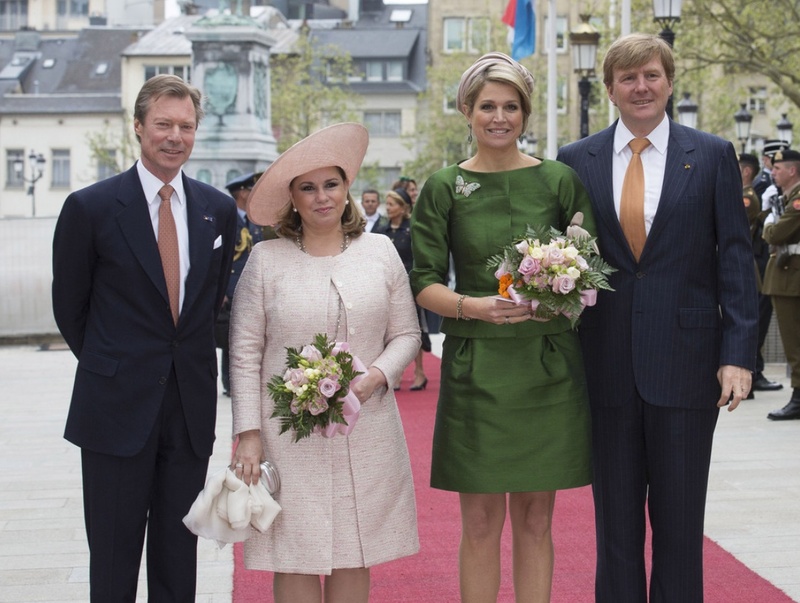 On Friday, May 24, 2013, Their Royal Highnesses Grand Duke Henri and Grand Duchess Maria Teresa of Luxembourg welcomed Their Majesties King Willem-Alexander and Queen Maxima of the Netherlands to Luxembourg. After arriving at airport and then partaking in a mini “…walkabout near the Grand Ducal palace…” where they waved to the locals, Their Majesties and the Grand Ducal couple were ushered to the palace for a photo-op for the press. Soon, a lovely luncheon was held in honor of Their Majesties one-day visit to Luxembourg, then it was time to meet various Luxembourg government officials including Prime Minister Jean-Claude Juncker. Click here and here to view hundreds of photos. TRHs Hereditary Grand Duke Guillaume and Hereditary Grand Duchess Stéphanie of Luxembourg Visit Vianden. On May 13, 2013, Their Royal Highnesses Hereditary Grand Duke Guillaume and Hereditary Grand Duchess Stéphanie of Luxembourg visited the city of Vianden. According to the newspaper, Wort, the hereditary grand-ducal couple were given “…a tour of the historic city, visited Château de Vianden, met with local residents at a nursing home…” and much more. TRHs Grand Duke Henri and Grand Duchess Maria Teresa of Luxembourg Attend the Opening of the 2013 Spring Fair. On May 4, 2013, Their Royal Highnesses Grand Duke Henri and Grand Duchess Maria Teresa of Luxembourg attended the opening of the 2013 Spring Fair held at the Luxexpo. If you are interested in learning more about the Spring Fair please click here. TRHs Hereditary Grand Duke Guillaume and Hereditary Grand Duchess Stéphanie of Luxembourg Visit the Lycée Technique Hôtelier Alexis Heck. On Friday, May 3, 2013, Their Royal Highnesses Hereditary Grand Duke Guillaume and Hereditary Grand Duchess Stéphanie of Luxembourg were in Diekirch to visit the Lycée Technique Hôtelier Alexis Heck. 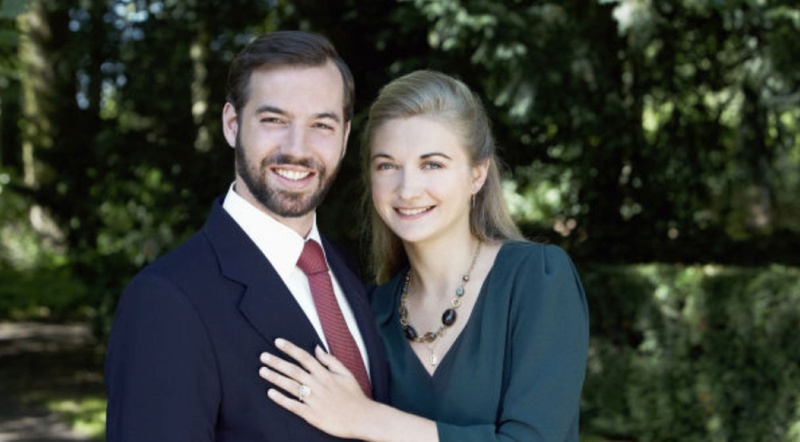 News Regarding Their Royal Highnesses Hereditary Grand Duke Guillaume and Hereditary Grand Duchess Stéphanie of Luxembourg. Their Royal Highnesses Hereditary Grand Duke Guillaume and Hereditary Grand Duchess Stéphanie of Luxembourg visited the town of Mersch on April 26, 2013. The lovely couple met with local dignitaries, toured Château de Mersch, and much more. 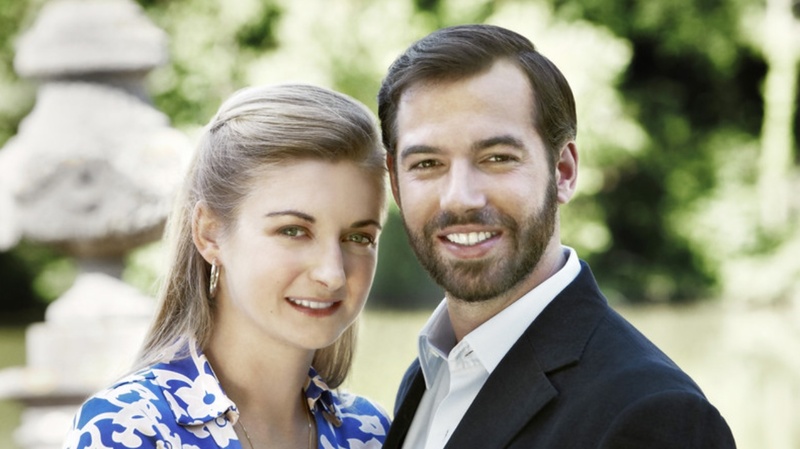 TRHs Hereditary Grand Duke Guillaume and Hereditary Grand Duchess Stéphanie of Luxembourg to Attend the Upcoming Inauguration in Amsterdam. Plus, Other News. According to the newspaper, Wort, Their Royal Highnesses Hereditary Grand Duke Guillaume and Hereditary Grand Duchess Stéphanie of Luxembourg will attend the upcoming inauguration/investiture of His Royal Highness Prince Willem-Alexander of Oranje on April 30, 2013 in Amsterdam. In other news, the hereditary grand-ducal couple were at the Grand-Théâtre de la Ville de Luxembourg yesterday to attend a graduation ceremony of “…young master craftsman and the winners of the Promotion of Labor…” according to the Cour Grand-Ducale de Luxembourg. 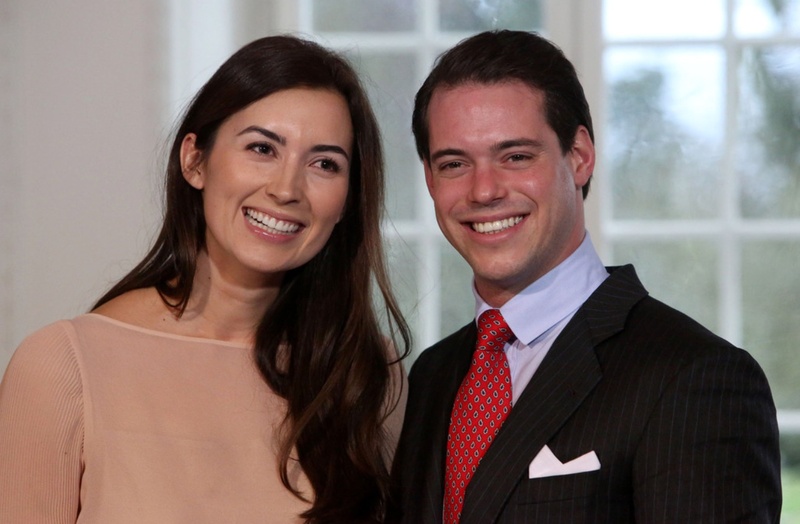 His Royal Highness Prince Fèlix of Luxembourg To Marry This Fall. 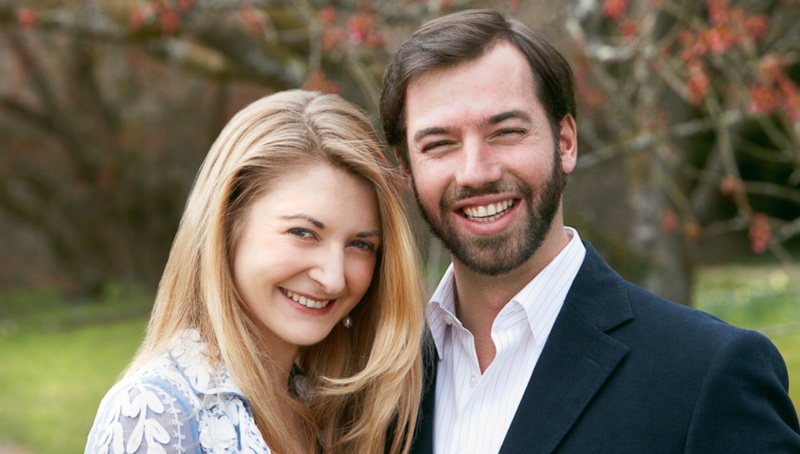 The Cour Grand-Ducale de Luxembourg announced this morning the wedding dates for His Royal Highness Prince Fèlix of Luxembourg and his longtime girlfriend, Miss Claire Lademacher. The civil marriage will take place in Königstein im Taunus, Germany on September 17, 2013. The religious ceremony will take place on September 21, 2013, at the basilique de Sainte Marie-Madeleine de Saint-Maximin-la-Sainte-Baume in France. 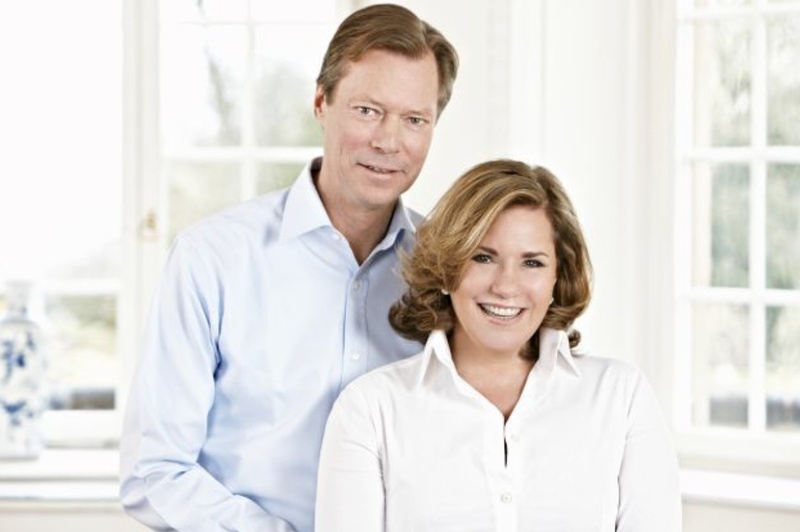 Their Royal Highnesses Grand Duke Henri and Grand Duchess Maria Teresa of Luxembourg have completed their successful visit to Vienna, Austria on April 17, 2013. On their final day the grand-ducal couple visited a gorgeous Benedictine abbey in Melk and much more. Meanwhile, Their Royal Highnesses Hereditary Grand Duke Guillaume and Hereditary Grand Duchess Stèphanie of Luxembourg arrived in Strasbourg, France, to begin their working visit to the European Parliament. For all the latest photos, videos, and information about the state visit to Austria as well as the visit to European Parliament please visit the great site, Luxarazzi Luxembourg, here.